Home / Craft Product Reviews / Crafty Tools / Unboxing, Set-Up and First Projects with Cricut Explore Air 2! Disclosure: I received the Cricut Explore Air 2 in exchange for my honest review. My opinion is based on my first-hand experience. Some links below may be affiliate links. A long time ago in a galaxy far far away, I owned a Cricut Expression and LOVED it. I even demonstrated them for the company! They were cartridge-based and SO easy to use if you didn’t really want to use your computer. 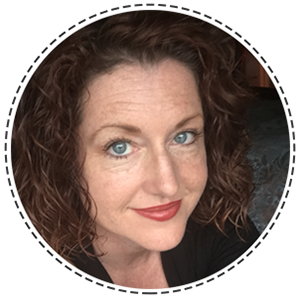 But as time evolved, the Cricut machines became more soft-ware based, and I fell out of love. Recently I was offered the chance to try the newest Cricut machine- the Explore Air 2- and see the Cricut machines with new eyes. How could I refuse? You get everything you need to complete your first project- a card- in the box. You the design of the Cricut Explore Air 2 is great- they’ve made excellent use of storage in the front flap and on top. You can still use cartridges if you have them, or prefer to buy them this way. The price point is so much better than the “old” new machines- this one has an MSRP of $299- that’s a full one-hundres bucks less than my Expression was back in the day! Spoiler alert- it’s on sale at Cricut.com for $249! So after breaking it out of it’s box, I was eager to set it up. As it happens, my new studio space is SUPER small- and I don’t really have room to set up the Explore Air 2 in there. What makes this machine so awesome is that I can use my phone OR my iPad and, through the magic of BlueTooth, I can set up the machine on the table downstairs and design anywhere in my apartment! I have to admit, I really like the mobile interface- it’s very easy to use. Set up is MUCH easier than I remember. There is no software to download- it’s all cloud-based now. The Cricut Design Space is easy to use- and they take out the guess work in setting blade depths/speeds/pressures! It’s really just as easy as setting the dial. That’s a brilliant advancement. The iron-on material was easy to use once I figured out which way was up! (LOL- I’m a Craft Test DUMMY, remember??) The kiss-cut was perfect, and the foil is a show-stopper. Can’t wait to play with more materials! I only used the pre-loaded design and a uploaded one… but there are so many more options to explore. I’ll be diving into more complicated materials and projects in the new year. I’ve really enjoyed getting reacquainted with the Cricut brand. And I’m excited to dig in further! Do you have a Cricut machine? Which one? I’d love to hear YOUR thoughts and experiences! I LOVE my Cricut Explore. I don’t have the Air, but I have the Bluetooth adapter. So, it’s pretty much the same thing then. My hubby bought it for me last year for my birthday/Christmas present. There’s so much that you can do with a Cricut. There’s many websites that offer cut files and others that offer free digital stamps. I also make cards. I didn’t buy the Christmas Stamp of Approval box, but I have bought 2 others. I don’t personally like it, because I end up seeing so many cards that were also made with that particular box that it ruins my creative juices. By the way, I also make cards. So, I can’t wait to see how you intertwine using the Cricut with cardmaking. I just found your blog today and have subscribed. I just bought my Cricut Explore Air in July! I was wondering if the Air 2 is that much different. I look forward to more of your projects and reviews! 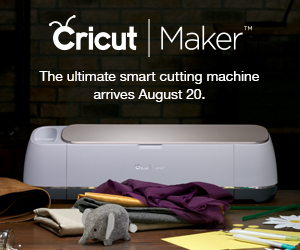 I too had a Cricut Expression and was thinking of switching to Silhouette…then Cricut announced the Cricut Explore. I was lucky to be able to use several Michaels gift cards to just about pay for it. I have not been sorry at all. At work, I make all the banners for Baby, Wedding and retirement celebrations. I even cut heavy watercolor paper and it cut just like cutting thru water. I have even downloaded and cut non Cricut images…yeah!! Also cut a banner out of paper backed burlup. I do have Cricut access so I have access to tons of images. I linked my cartridges to Design Studio especially the 3 Cross my Heart cartridges which currently are not available digital.